• the firmware and then move to the last adb fastboot tool that is already in the extract. Step 2. Do it correctly and accurately. 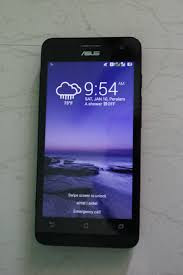 2. go to mode "Zenfone Fastboot Mode" by pressing the Power button and the Volume Up together equally to appear fastboot Mode. 4. Wait until Android Robot picture appeared with the words "No/No Command"
5. then go into Android System Recovery mode by means of press and hold the Volume Down button and then press the Volume Up just once. 6. After entering the Android System Recovery mode select menu "Apply Update from adb"
7. If it has been up to this stage, your HH (Handheld) is ready to continue the process of flashing. 7. Wait until the flashing process is 100% correct and properly completed. Disconnect the USB cable and select "reboot now"